This volume pulls together key documents--statutes, court decisions, FEC advisory opinions, draft legislation--and scholarly articles that are essential references for any informed discussion of campaign finance reform. Each chapter includes a set of reprinted materials preceded by an explanation of the relevant issues by the editors. Topics include the history of federal statutes on campaign finance; major Supreme Court decisions; the constitutional contours of the current debate; a roadmap to the present rules of the game; political action committees; national parties; hard and soft money; express and issue advocacy; enforcing campaign finance law; and recent innovations and proposals. The volume is designed to help reformers and interested citizens understand how current campaign finance practices have evolved from previous decisions made by legislative, judicial, and executive bodies and what might be entailed in moving the system in a desired direction. 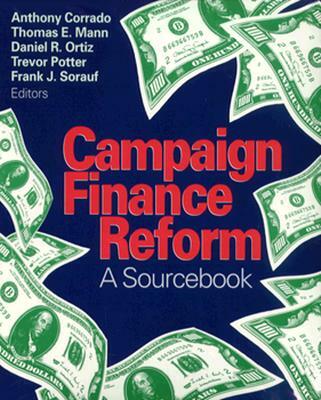 Each of the editors has extensive practical experience in the field of campaign finance.